The Big Apple’s top hospital is aiming to be Bermuda residents’ first choice for overseas medical care. Representatives from New York Presbyterian Hospital will be in Bermuda over the Cup Match holiday to help bring awareness that locals could choose them as an option. It is considered one of the best hospitals in the United States and is ranked sixth in the US, and number one in New York City by US News and World Report. In the various disciplines, they are in the top three in neurology, cardiology, and psychiatry among others. It is also in the top five in urology. Andrea Dacquino, director, International Business Development for New York Presbyterian, told the Bermuda Sun next week’s visit by himself, Raymond Wu and possibly Michael Merritt would be to get the word out about the hospital at a couple of events over the holiday. He said in the past New York Presbyterian had worked with Simone Barton at the Bermuda Heart Foundation. Mr Dacquino added: “We’ve had the privilege of serving many Bermudians in the past and over the last several years. We just haven’t had much of a presence on the island so we thought the opportunity of BeachFest and Cup Match presented a neat opportunity to highlight some of the things that New York Presbyterian is doing. Mr Dacquino added that at BeachFest the hospital will be handing out beach balls, sunglasses, Frisbees and other marketing items to increase awareness of their brand. “We’re also going to be sponsoring the football tournament,” Mr Acquino said. “We’re very excited about that. We’ll be bringing in some cups from New York for the winners and the runners-up. We just want to participate in this very nice event, which Chewstick is putting together. “We want to make it fun and make it festive. We’re not here to hand out pamphlets in this festive environment. He said that would hopefully allow Bermudians to learn more about the hospital and what it can offer. He is acutely aware of the diabetes problem in Bermuda. 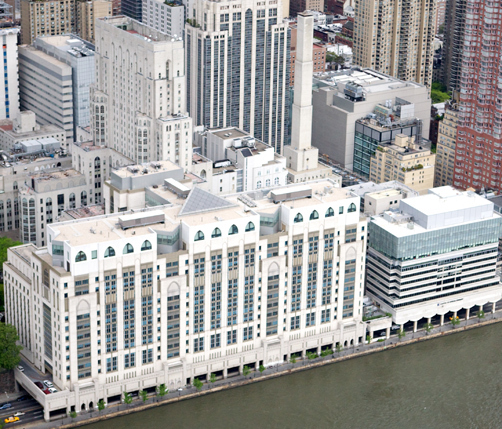 New York Presbyterian is also affiliated with two Ivy League medical schools, Columbia University’s College of Physicians and Weill Cornell Medical College. He added part of the hospital’s mission is to bring it to different parts of the globe and for the medical training of that next generation of physicians who will be taking care “of our kids and grandkids”. He added NY Presbyterian has a dedicated team for international patients who are looking for quality care.